ROHEI’s inspirational speaker Reena Rajasvari was invited to share at this year’s annual PAP Women’s Wing Conference 2018 and Smart Technology Fair, “Smart Women for a Smart Nation”. 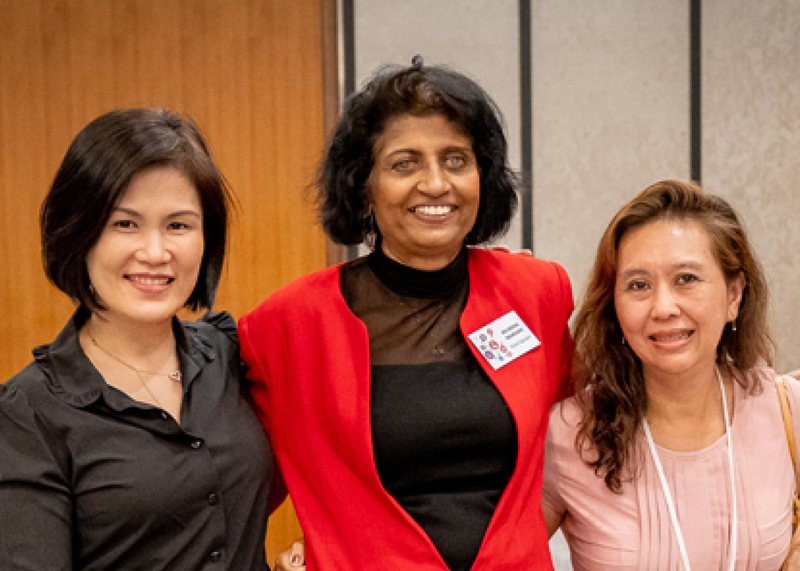 More than 400 activists from the People’s Action Party Women’s Wing attended the event last August 25 to learn how women in Singapore can harness smart technology to enrich their personal and professional lives. Speaking among a panel of women leaders from companies such as Grab, LinkedIn, and IBM, Reena shared her life journey of losing her sight at the age of 28 and how she overcame her challenges and found the courage to pick up new technologies despite her disability. Reena speaking during the panelists question and answer time with the other conference speakers. “Being open to learning really helps me cope with changes that I am facing in my life. I can’t change the fact that I am blind but I can focus on what I can change to grow”, Reena shared. Fellow panelists commented that Reena was an inspiring example of someone learning new things in Singapore’s push to be a Smart Nation. 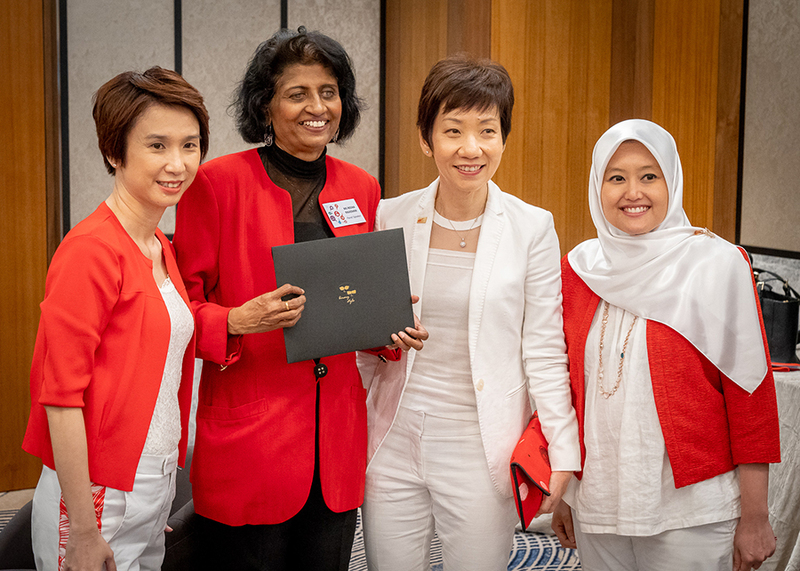 “As we continue to be the eyes and ears on the ground, let us find innovative ways to build an inclusive and supportive environment where no woman in Singapore is left behind,” said Ms Grace Fu, Chairperson of PAP Women’s Wing and Minister for Culture, Community and Youth. “We should ensure that technological change benefits users of all backgrounds”. 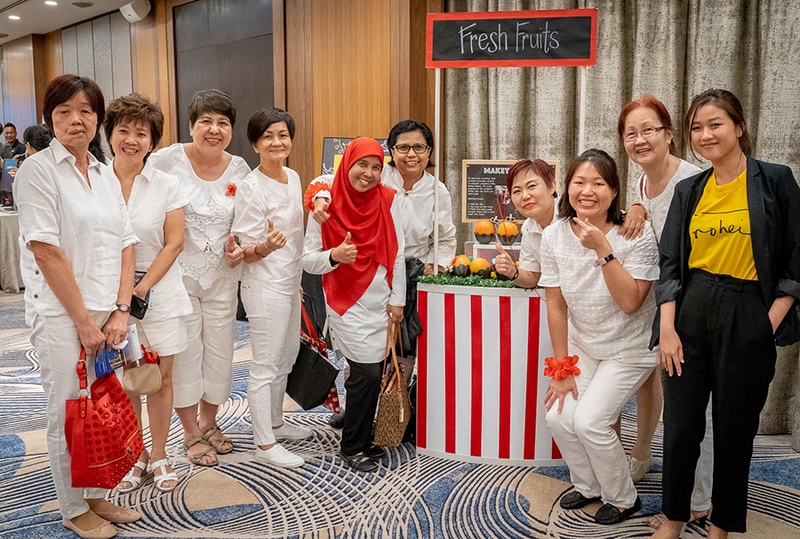 Ms Fu also commended the Women’s Wing for ensuring inclusivity and encouraged young women to take an interest in the science, technology, engineering and mathematics (STEM) industries to take advantage of new technologies and opportunities. 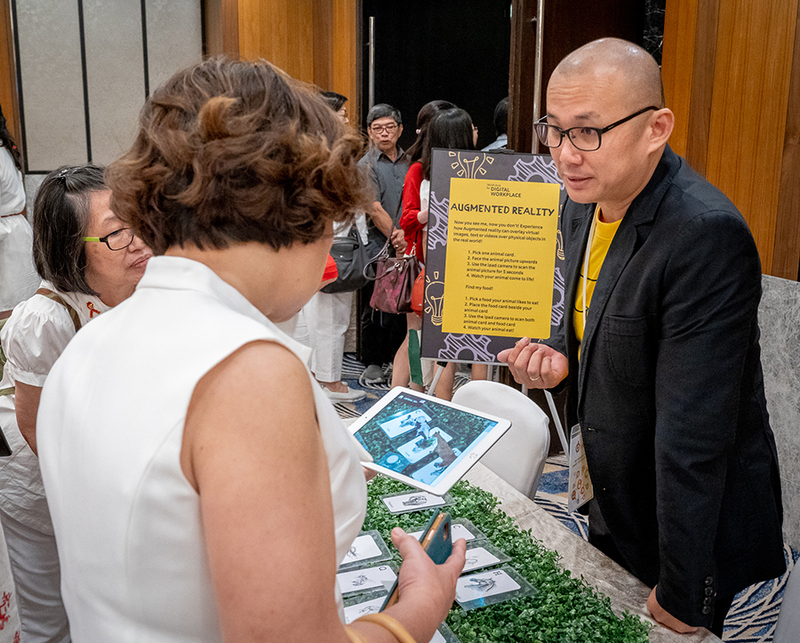 The Smart Technology fair featured a booth by ROHEI, showcasing technologies that are introduced to learners in ROHEI’s SkillsFuture for Digital Workplace programme. ROHEI’s Karen Chan explaining ROHEI’s approach to enabling digital transformation by addressing the mindset of the workforce. “The technology is really amazing! So many new things it can do now”, one grassroots leader commented. The ROHEI booth featured technology such as Augmented Reality, Virtual Reality, Home Automation, and DIY electronics invention kits. Activists trying out viewing highly realistic 3D content through Augmented Reality. Wan QI and the PAP Women’s Wing activists at the Makey Makey station of our Pasar Innovation booth. 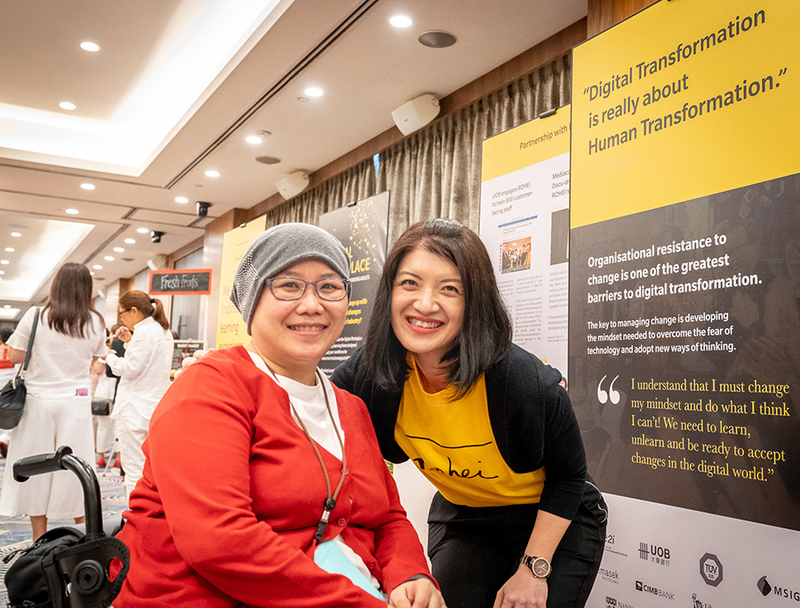 As the Women’s Wing activists tested out the new technologies, they experienced how technology can enrich their lives and that of their families, and the larger Singapore community. Find out more about how ROHEI helps organisations with Change Management.